Dratzo! Things are buzzing around your globe! Numerous incidents have occurred which are scaring the leaders of the dark cabal. The events are now forcing these arrogant ones to relent and permit the rise of a new global monetary system. Along with this development is the establishing of a new international financial system. This series of linked events is creating shock waves that threaten the very existence of many corrupt and formerly omnipotent governments. An ever-growing wedge is now appearing that is shortly to cause them to allow new governance to appear. This manifesting phenomenon is eventually to allow a thorough disclosure of our existence to occur. The dark can easily see that its reign of many millennia is swiftly coming to a close. It is to be replaced by rule based on morality, your sovereignty and an ever-rising prosperity. In this new realm, you are to learn many things that were hidden from you; among them your extraterrestrial origins and the former existence of the fallen continents of Atlantis and Mu. These new facts are to shock you into some understanding of who you really are. The rest is to come when the Ascended Masters and their Inner Earth brethren address you. All of these things are to prepare you for the fact that you are shortly to return to full consciousness. Those who carefully kept this from you realized that these truths revealed were to cause a “revolution” that was swiftly return you to the very edges of full consciousness. Hence, a number of great lies were put into effect to hide this from you. These manipulations included redrawing your religions, altering the basis of modern science and creating a monetary system based upon scarcity. These endless “false flags” are to be rectified by what is happening around your globe. Our allies are forging the underpinnings for a new financial system and are readying the mechanisms for the rise of a new reality. These events are now manifesting in bits and pieces around your globe, and are only the mere beginnings! Your new set of facts is to readjust your basic perceptions about your world. Take these in hand and be ready to apply them to your many societies. The primary purpose is to lift you far above survival level and rid you of governance and a worldly cabal whose purpose is to deny you your natural birthrights. Lies were purposely told to you. They are now to be removed and replaced by truths that make most of what you know useless. Take what you learn and be prepared to expand this when your Ascended Masters address you. This new set of knowledge is just the start of what you really need to know about yourselves and your original ancestors, the numerous immigrants from the stars! These fully conscious Beings came here to aid Gaia and care for a vast and wondrous interlocked set of eco-systems. Gaia was then united and possessed a fully conscious realm both on and below her surface. This remarkable world had birthed this galaxy and come to rest eons ago in the life zone of your sun. The process of protecting and preserving a host of eco-systems also included adding to the robustness of Gaia. The initial results were quite promising. 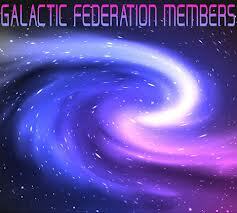 The new colonists had gained a renewal for Gaia and her living systems that brought a great joy to all. This process was temporarily skewed by the rise of the new daughter colony of Atlantis. The rulers of this daughter colony were greatly influenced by the priests and priestesses of the Anchara continuum. This can be likened to the legends of the great fall of humanity into darkness. These legends have largely made it impossible to fully comprehend the workings imposed on them by the Anunnaki and their succeeding bands of minions. This confusion is now to be returned to truth! Coming history lessons are to prepare you to understand why you are now in limited consciousness and how you are to be returned to your natural state of full consciousness. The final step in this journey is to be done by Heaven and your space and Inner Earth families. Namaste! We are your Ascended Masters! Our various associates and their allies are completing actions that are to bring sovereignty, prosperity and freedom to you. At present, each one of the several events that are manifesting is ready to greatly alter the world you live in. The dark has been in charge ever since the Atlanteans left for their location in Beta Centauri. They left behind those who successfully manipulated this surface reality for nearly 13 millennia. This reign is coming to an end as new institutions are born. While this is occurring, we have watched as Heaven adjusts and recalibrates your mental emotional and physical bodies. As each of these reaches a higher vibration, you become able to absorb new perceptions and rethink the foundation of your various core beliefs. With these small transformations you are then ready to receive what we need to tell you. Dear blessed Ones, you are at the very edge of a new reality. Most of what you know has been given to you in puzzles. The dark persists in explaining to you that these odd puzzles are truth. In fact, they are only jumbled half-truths. We intend to present to you the complete solved puzzle, eliminating any mysteries. Once you have absorbed these messages, you can see who you truly are, and what you once were. These actions are only the beginning of what we are to say. You need to be assured of your destination in this grand journey. Much has been written by many, attempting to uncover what the dark so heinously mixed up. Absent the mysteries, you can then see how unique and wondrous you truly are. In this new setting, we can introduce you to what the process of Ascension is really about! You are entering a realm filled with wonder and miracles! This requires you to focus deeply and intently upon the Divine, and the real meaning of divine service. In this mode, numerous subjects take on deep meanings that you have not previously experienced. This mode requires a special degree of training to allow you to see and clearly outline what you need to do to accomplish your inner and outer goals. All of this is related so you can quickly discover how the spiritual and physical realms are connected. This insight lets you interact as a most wondrous collective and pursue both your joint and individual goals. You become a member of both the sisterhoods and brotherhoods of the Light in Heaven and for the Earth. You are returned to the sacred missions that brought you long ago to this most magnificent realm!